Experience uniquely designed homes filled with classic Pacific Northwest character at The Pennington Apartments in Tacoma, WA. 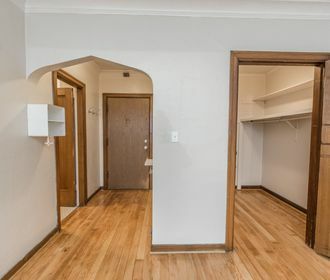 Located in the vivacious Stadium District, The Pennington Apartments is a centrally located complex putting you within walking distance of eclectic eateries, unique shopping, entertainment and more. 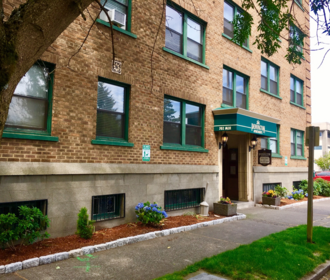 Close to hot spots, UW Tacoma and the Tacoma Art Museum you will revel living in a versatile home that offers you both a residential and downtown lifestyle.
. The Pennington Apartments offers studio and 1-bedroom homes that feature sweeping views of Tacoma and Mount Rainier. In-home amenities include high ceilings, hard surface flooring and all matching white kitchen appliances. 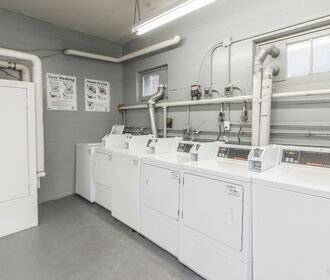 Community amenities include a well-maintained laundry facility and an underground garage for resident only parking. The Pennington Apartments is also a pet friendly community; please refer to our pet policy to ensure that your furry companion meets our guidelines! Do not miss out on these beautiful vintage homes! Apply online through the online leasing program or call to schedule a tour of your new home today!